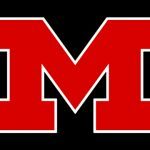 KILLEN – The Muscle Shoals varsity volleyball team went 2-2 Saturday and finished second in its pool. The Lady Trojans, now 18-11 overall, beat Rogers 25-14, 25-17 and Alexandria 23-25, 25-22, 15-11, but were beaten by Addison 25-18, 25-13 and Loretto 25-21, 21-25, 11-15. Kaylie Wright led the Lady Trojans with 28 kills, seven aces and five blocks.